Current Prince Rupert Gymnastics coaches will get some backup when new head coach Raymond Wong joins the team this upcoming season. Just in time for its second season, the Prince Rupert Gymnastics Association (PRGA) has brought in new head coach Raymond Wong. 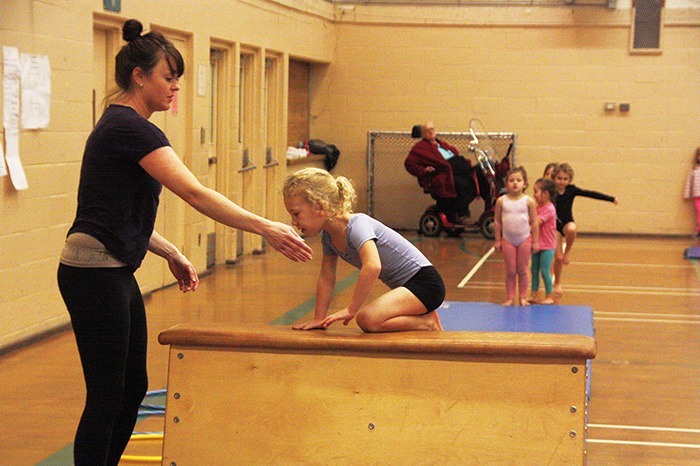 Prince Rupert Gymnastics has found a new coach. Just in time for its second full season, the Prince Rupert Gymnastics Association (PRGA) has brought in new head coach Raymond Wong. Coming from the Lower Mainland, Wong’s background in gymnastics is extensive, including bringing National Coaching Certification Programme (NCCP) experience to the North Coast, as well as a background in artistic gymnastics, athletics and trampoline, outlined a release from PRGA. More specifically, Wong brings his certification in ACRiX – a Gymnastics BC program that combines circus arts with gymnastics. PRGA president William Spat was pleased with the organization’s new acquisition. “Raymond’s presence is a huge boost to gymnastics in Prince Rupert. With improved equipment thanks to community donations from the [Prince Rupert] Lions [Club] and others, the club is on its way to developing athletes to compete at the inter-club level with Zone 7 rivals in Kitimat, Smithers and Terrace. We continue to look for better equipment, a permanent home and more great coaches,” Spat said. Currently, PRGA operates out of the Jim Ciccone Civic Centre. Registration for the autumn season for returning participants who already took part in PRGA last year is set for Thursday, Oct. 22 from 7:30 – 8:30 p.m. at the Prince Rupert Library Multi-Purpose Room. The athletes have been notified of the date via email. Registration for new members is scheduled for later, with the date to be announced shortly. Classes for this upcoming season will be offered for beginners, aged 3 – 4, all the way up to advanced levels for athletes aged 10 and older and are scheduled to run from November until January 2016 on Sundays at the Jim Ciccone Civic Centre. For more information, contact Prince Rupert Gymnastics Association at portgym@gmail.com.